1. 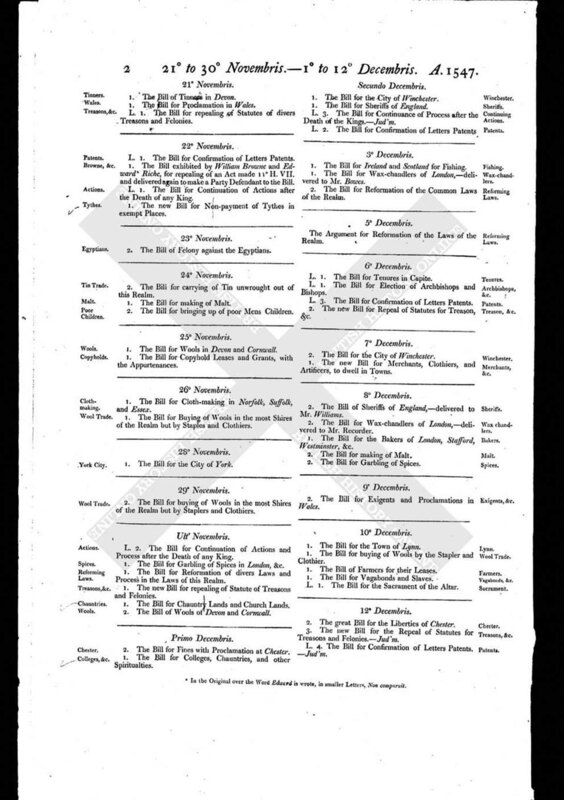 The Bill of Journeymen of Weavers in Worcester. 3. The Bill of Worsted Yarn of Norfolk and Norwich.  Judic. 3. 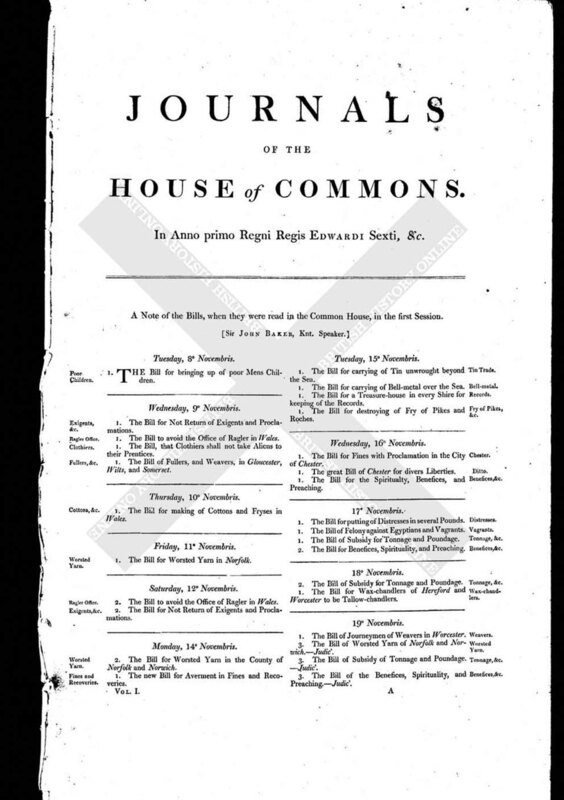 The Bill of Subsidy of Tonnage and Poundage.  Judic'. 3. The Bill of the Benefices, Spirituality, and Preaching.  Judic'.